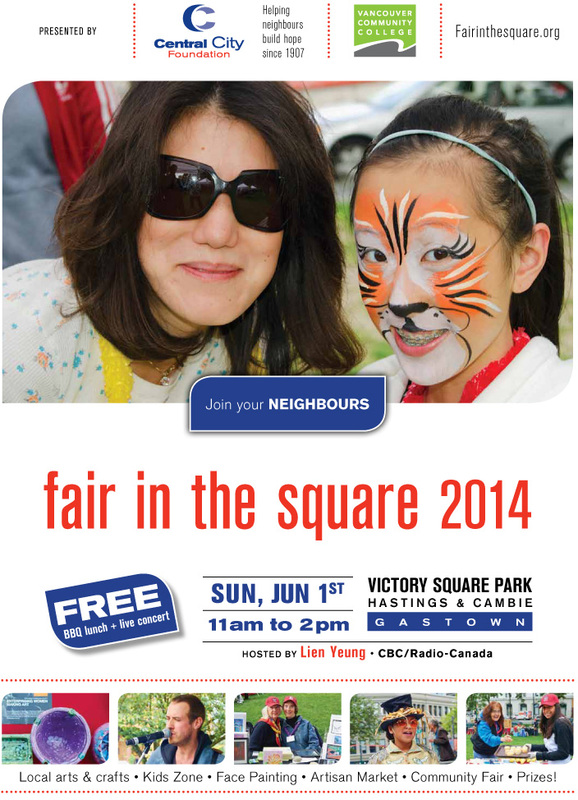 DTES Street Market was very proud to be a part of Fair in the Square 2014. Thanks Central City Foundation for all your wonderful support! 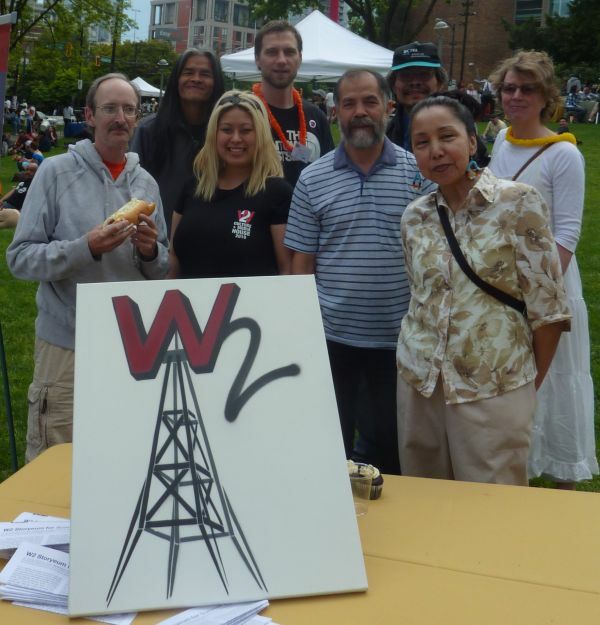 W2 and AHA MEDIA are pleased to be at the 6th Annual Fair in the Square! 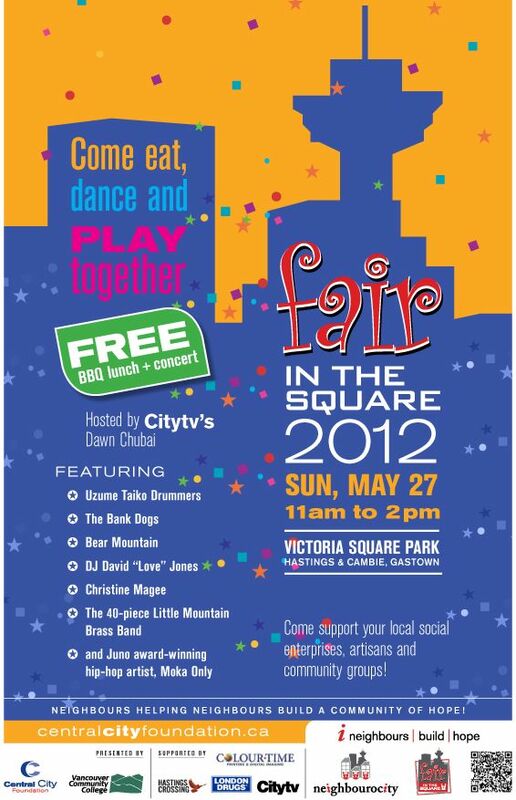 Alongside dozens of social enterprises, artists, and community organisations, terrific local bands and musical artists will donate their talents to entertain from the Victory Park stage while a delicious BBQ including cupcakes, beverages and more are served up by the dedicated faculty, staff and students from Vancouver Community College’s Culinary Arts program. 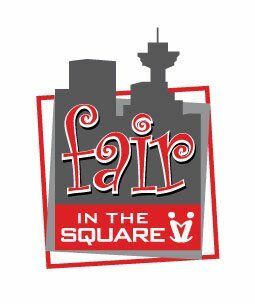 Fair-goers are encouraged to wander the park and visit the tables set-up by a diverse range of social enterprises and neighbourhood non-profit community organizations providing an opportunity to chat and reach out to a network of neighbours, connect with services available, and admire talent coming from the inner city. All of this is possible with the support of literally hundreds of volunteers who prepare, staff and strike the Fair site in addition to the donation of food, drinks and other goodies from generous corporate partners.